Experience the global music phenomenon Yanni as he performs fan favorites and new arrangements of his classic compositions in a spectacular setting. 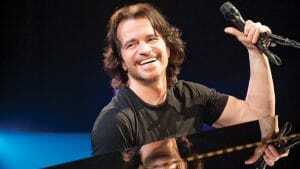 Captured in 4K state-of-the art high definition, the concert fulfills a lifelong dream of Yanni’s. Click here to view a preview! On CPTV: Saturday, January 27, 2018 at 7:30 p.m.